Over on the LinkedIn Business Architecture list, my colleagues Pat Ferdinandi, JD Beckingham and Ron Segal have all helped a lot in challenging me on the Enterprise Canvas concepts. Pat in particular has been has been pushing hard for some more concrete examples of how it all works in practice. On the other side, I haven’t really posted anything here as yet on the ‘final’ version of the context-space mapping methodology. 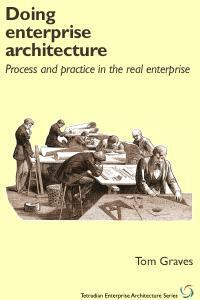 There are a few scattered posts from a few months back, but the main description is in the chapter ‘Day 8: Putting it into practice’, in my most recent book, Everyday Enterprise-Architecture [at present you can still download the complete PDF e-book via that link]. So it seems worthwhile to develop a worked-example to show how all of these tools and techniques fit together in real-world use. And for me, right now, the obvious example to choose would be my own work and business. I’m a futurist and maker of conceptual tools, working mainly with the arcane abstractions of enterprise-architectures: none of those attributes and emphases are exactly conducive to fame and fortune… 🙁 It’s true I do get by well enough at present, yet I would like my work to be better known and more commonly used, and – no surprises here 🙂 – it’d be good if it could bring in a better income, too. So how can I make that happen? What do I need to do that’s different from what I’m doing now? What do I need to change in the architecture of my own enterprise? What business am I in? – really? Who else would be interested in what I’m working on? What value do I add right now? – if any? Where could I add value? In what contexts? With whom would I need to work with in on this? Who would be my prospective partners, clients and other business-relationships? For whom could I most add value? Who would pay for it? – and why would they pay for it? How can I describe that value? How could I prove that value? How would I deliver that value? How would I prove that I’ve delivered it? How much could, would or should I charge for this? And so on: all pretty fundamental questions, really – especially in business. Sounds like a good candidate for some serious exploration – which is where context-space mapping and the Enterprise Canvas come into the picture. This’ll probably take several posts, but let’s get started. At first, that often looks like it would be a straightforward step-by-step process, and in fact it’s portrayed that way in some frameworks such as the TOGAF ADM (Architecture Development Method), which would match up to the above as ADM Phase A-D (sensemaking and some aspects of strategy), Phase E (strategy and high-level structures), Phase F (structures and solution-plan) and Phase G (solution-implementation) [with Phase H as a wrap-round to prepare for sensemaking again in a new cycle]. 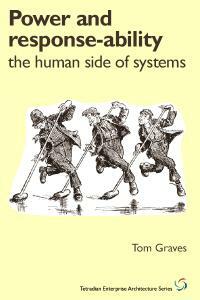 Reality, though, is a great deal messier than that – hence, for example, why the TOGAF specification describes the process as ‘iterative’, which is something of a polite understatement! 🙂 So although those four steps above do represent the overall flow of what happens, in practice we’ll usually pass through most of these steps many times, in many different ways, and in just about any order, jumping back and forth between the respective emphases as we go. In essence, we ‘go for a walk’ in a kind of imaginary-world, in order to make sense in the real one. The imaginary-world is our sense or understanding of the context in scope – in this case, a business and its business-models, including the practical implementation and execution of those business-models. What we want to end up with is a detailed picture of what to do, to make all of that happen back in the real-world, and also – and this is important – some clear hints about what we need to watch for and to do to change that plan on the fly in response to the actual circumstances at the time: “no plan survives first contact with the enemy”, or, more generically, first contact with reality. To guide us, we start off with some fairly simple map – often just a list of categories of things or ideas or attributes. We then add more and more detail to that sensemaking map as we go. Walking around – metaphorically speaking – gives us many different views over the context, from many different directions, sometimes as a big-picture overview, sometimes right down into the fine-detail. At times, quite without warning, as TS Eliot put it, “…the end of all our exploring // Will be to arrive where we started // And know the place for the first time.” Using different model-types as overlays on the map creates further views – not so much filling in all of the missing pieces on a jigsaw, as adding richness and depth to a hologram where every point contains every other point. 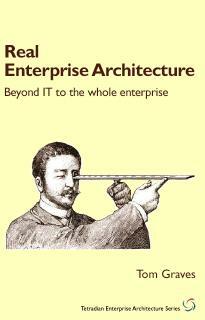 That’s the everyday world of an enterprise-architect. It’s also a quick way to go crazy if we don’t make proper use of that map. Many people get stuck in analysis-paralysis, for example; others mistake someone else’s prepackaged ‘solutions’ for strategies, and wonder why nothing works any more. Everything is built up, layer upon layer, from the base-map with which we start, and to which we return whenever we realise that we’ve gotten lost somewhere. So the maps we use will matter a lot. In systems-theory terms, each base-map is a rotation that provides multiple views into the same overall space. Ideally we also want it to illustrate the balance in the context (reciprocation and resonance), and preferably the layering (recursion and reflexion) in that context too. 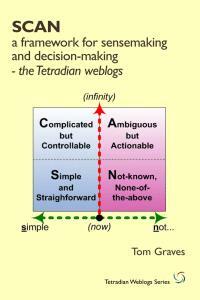 The Cynefin-categorisation – Simple, Complicated, Complex, Chaotic, and the ‘none of the above’ Disorder region – is one frame that’s proved useful as a base-map; another, especially where the context is mainly about flows of some kind, is the VPEC-T frame – Values, Policies, Events, Content, Trust. Another is the Zachman frame, with its six core questions: What, How, Where, Who, When and Why. The frame we’ll use for this purpose, though, is one that’s somewhat larger in scale and scope: the Enterprise Canvas. Each service has its own value-proposition, which defines and guides what value will be delivered by the service; and its own value-management, which ensures that the respective value is actually created and delivered. On either side of this kind of ‘vertical axis’ are the main flows of value-exchange with other players in the enterprise, either as ‘suppliers’ or ‘customers’ relative to this service; for a variety of practical reasons we partition these flows in terms of what needs to happen before, during and after the main types of value-exchange, which are managed by supplier/customer relations, by supplier/customer channels and by value-outlay/return respectively. In effect, every service in the enterprise can be described in terms of this simple structure. The other important point is that we need to be able to describe these services in terms of layers of abstraction, from most-abstract – ‘the enterprise’ as a whole – right the way down to most-concrete – the fine-detail of action-plans and action-records. There’s more detail about the layers here, but again, don’t worry too much about it just now: the main point to note is that we’ll often see what may seem to be the same service re-appearing in different layers, but actually at different levels of abstraction, going ‘down’ towards real-world implementation, or ‘up’ towards re-structure and redesign. There are also several different versions of the Canvas – summarised here – depending on whether we’re looking solely at the service itself (for which we’d use the version nicknamed the ‘brick’), its flows and links with other players (the ‘beetle’), or its integration into the enterprise as a whole (the ‘robot’). Most of the time we’ll use the simpler version – the ‘brick’ – which is essentially the same as in that cross-diagram above. [An enterprise is] an organisation or cross-functional entity supporting a defined business scope and mission. An enterprise includes interdependent resources – people, organisations and technology – who must coordinate their functions and share information in support of a common mission or set of related missions. 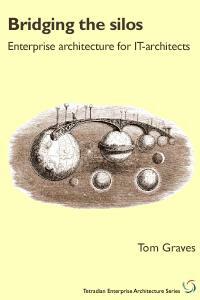 …it must be understood that in many cases, the enterprise may transcend established organisational boundaries – e.g. trade, grant management, financial management, logistics. An organisation is a formal structure of some kind, in essence bounded by rules, roles and responsibilities. But an enterprise in this sense is more like something that happens between or ‘above’ any individual organisation: “interdependent resources … who coordinate … in support of a common mission” and so on. The point is not just the processes via which that coordination happens, but the underlying idea – the ‘why’ – that makes it “a common mission or related set of missions” shared across all of those “interdependent resources”, the reason or decision that links everyone together in this shared activity. Identifying the underlying enterprise will tell me why I work for or with a particular organisation. 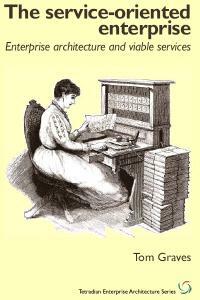 It tells me why I work in that particular enterprise rather than in any other. And it also indicates who it’s likely I could collaborate with, because they’ll all be people or groups or corporations have an interest in this same enterprise. Importantly, the enterprise is also emotive: if it’s described properly, it will literally give the people involved in that enterprise a reason to get out of bed in the morning. The organisation is just rules, roles and responsibilities; but the enterprise matters. These components may occur in any order, but all of them need to be present. For example, take the vision for the TED conferences, “ideas worth spreading”: ‘ideas’ [content]; ‘worth’ [qualifier]; ‘spreading’ [action] – clear, succinct and emotive. And note that none of these describe the organisation at such – but do describe the focus, the area of action, and the key value-metrics which define the meaning of ’success’. That’s what we need to look for at this stage. So in my own case, what enterprise am I in? Which enterprise – or type of enterprise, at least – best lines up with what I do? That suits the way I work, the kind of things I want to do, and so on? With the Enterprise Canvas, one tactic is to go right to the other end of scale of abstraction, down to row-6, where options are not so much unchanging (as they should be in row-0), but unchangeable, because they’re in the past. In short, what can I learn from my own history? Overall, for me, that’s more than four decades of professional past to explore, across many different industries: graphic design and pre-press, medical education, skills-research, information-systems, aeronautical engineering, telecoms, logistics, banking, utilities, just to name a few of the more mainstream examples. But there’s one common theme that seems to run through every one of these examples: the quest for effectiveness, in almost any of its myriad forms. That’s true for my work with individuals, and their development of skills and competences; for teams and work-groups, or for specific aspects of an organisation; sometimes for organisations as a whole; and more recently, with enterprise-architectures, across groups of organisations or even entire industries. And it’s clear that I’m passionate about it, too – which means it fits that criterion that it needs to be something “strong enough to get someone out of bed in the morning”. ‘Effectiveness’: is that the content, the qualifier, or the action? Not sure yet: so keep wandering around in the context-space for a little while longer. Try another tack: a descriptor can be either about content, or focus. So what’s the focus here? – would that help to clarify the shape of this enterprise? Somewhat recursively, it seems that the focus of this enterprise is actually enterprises themselves, about coordination and collaboration and competence, again at every level, from the individual right up to the scale of entire economies. In effect, effectiveness happens when everything supports everything else, always pushing towards enterprise purpose, the respective enterprise-vision. And all of that – about enterprises and effectiveness – does fit very well with what I do. Or rather, that’s the descriptor and the qualifier for the vision – I still need to identify that ‘action’-component. And that last part of the vision still isn’t quite clear as yet. It’s a verb something like ‘creating’ or ‘making’ or ‘building’ – it’s obviously not ‘destroying enterprise effectiveness’, for example. (Don’t laugh: some people really are engaged in the enterprise of destroying enterprise-effectiveness – such as those whose passion is about breaking up the enterprise of organised-crime.) I’ll choose ‘creating’ as the action-verb for now: given the recursive, re-entrant nature of context-space mapping, I can always come back to adjust that kind of fine-detail later. So let’s put all of this together, to give me a preliminary row-0 for my Enterprise Canvas: the enterprise that I’m in is about creating more-effective enterprises, expressed via those five themes or principles of effectiveness – efficient, reliable, elegant, appropriate, integrated. Note that unlike an organisation, this enterprise isn’t something I own, or control – in fact it’s more like that it owns me, because it’s such a core driver for everything that I do. In principle I could choose anything as ‘my’ enterprise – but in effect it’s more that this one chooses me. And that’s the principle here, especially when we move up the scale to a company or an entire corporation: we’re looking for that to which the organisation would naturally align. Once we have clarity on that, then many of the classic organisational problems suddenly become a whole lot easier: we stop arguing about ‘business/IT-alignment’, for example, because both sides can now align to the same enterprise-vision. That’s what all of this exercise is about: creating clarity, enhancing effectiveness. What happens next is that we use that enterprise-vision to tell us a lot more about the business that we’re in – including all the other players in the same overall enterprise. That’s what we’ll start with in the next article in this series. Simon Sinek’s TED video on “Start With Why” is also very helpful in defining a business (or personal) Vision. It talks about belief. It’s a measure in which one uses to determine what and how to do things. It’s a must to understand that Vision is NOT Mission. Mission is a strategy to keep to the core Vision. I’m studying a rather new business, Elevation Burger (http://www.elevationburger.com/EB.php). 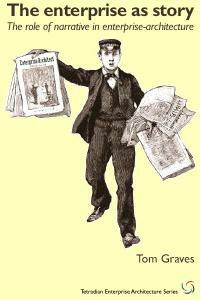 All over the place, on paper products, walls, website, tweets, facebook, their vision is stated in concise terms. Before anything can be decided (strategy, direction, products, employees, etc. ), it must match (or believe in the case of employees and customers and business partners) the vision test … Ingredients Matter. The Vision “Ingredients Matter” reflects the boundaries of the Enterprise (personal, profit, non-profit) and must be clear before any of the Enterprise Canvas can be populated with knowledge. Once a enterprise loses sight of the vision, chaos and misalignment occurs. 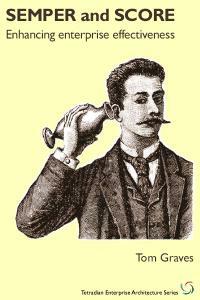 Hey Pat – please, no “sorry” at all, is really helpful to have another example! I’d agree it’s a very good example of how to use a vision – probably better than my own example, actually. May I reference it in other articles in this series? The only point I note is that it doesn’t fully line up with the ‘structure of vision’ model that I described in the article above (Content/focus, Action, Qualifier): it only has the Content/focus and the Qualifier, but not the Action. Which in part shows why models are so often ‘rules that are made to be broken’, because it obviously does work! 🙂 The only point that an Action would add here is in making it clear where ‘Ingredients Matter’ – for example, ingredients matter in plastics-moulding too. Wouldn’t the action be the next layer? 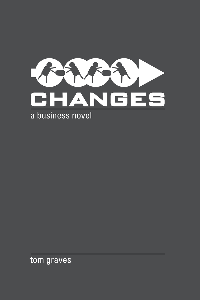 The what you do (products/services) which can change over time (or with new technology). The vision would always remain the same. Yes…you may continue with Elevation Burger. Heck, I may need to visit the place to get inspiration. Hi Pat – many thanks for the permission to use the Elevation Burger example. The one thing we need to be wary of here is getting lost in semantic loops: this is purely about pragmatics, not about finding ‘the right answer’, because actually there are an infinity of possible ‘right answers’ in every case. What we’re after in a vision-descriptor is an emotive phrase that constrains ‘the everything’ to a scope that we can actually work with. We need a ‘just-enough’ constraint here: not too little (otherwise we get swamped with possibilities), not too much constraint (otherwise we end up with just our existing market, or less…). So to me it seems more likely that a more usable vision here would be something like “Making Food Matter” or “Making Food That Matters” – action, content/focus, qualifier. The ‘action’ in the sense of what we do to make that vision happen is something that comes later in the architecture (though in row-2 ‘Business-Model’ and row-3 ‘System-Model’ rather than row-1 ‘Scope’ or row-0 ‘Enterprise’). The Action that applies here, to the vision, is simply about making the vision feel active, literally emotive – it’s not about what the organisation does as such, to make that happen, to realise the vision. I know it’s a subtlety, but it’s important, and a lot harder than it looks – which is why visioning overall is a lot harder than it looks, too. About Us: Our vision is to be much more than just a burger restaurant. It is a vision for an elevated product that is fresh & flavorful because it is made of the highest quality ingredients. It is a vision for an elevated experience in a well-appointed and environmentally friendly setting. It is a vision for 100% USDA-certified organic, 100% grass-fed, 100% free-range, 100% ground-on-premises beef. For fresh-cut friends cooked in 100% heart0-healthy olive oil. For hand-scooped shakes and malts and fresh0bakes cookies. … Come try us, and see what makes Elevation Burger unique. To me, the above is more than a vision. Once they mentioned the beef, it limited their options. The part that’s actually closest to an enterprise-vision here is “elevated product that is fresh and flavorful because it is made of the highest quality ingredients”, together with “elevated experience in a well-appointed and environmentally friendly setting”. The rest is a business-vision – a description of their current or ‘as-is’ business, rather than the broader shared-enterprise. It’s kind of half-way between what I would ‘role’ – what we look at in row-2 – and ‘mission’ – the capabilities that we explore in row-3 – all mixed in with perhaps a bit too much marketing-puff that comes from actual instantiation (row-4). What it doesn’t tell us much about is the shared-enterprise in which this business operates – the ecosystem shared by all players in this enterprise, and which determine the options available to this business for guidance and for future redesign. Remember that the whole purpose of all of this exercise is about dealing with change. It’s exactly the same principles and layering as in the ISO-9000 quality-system standard – vision, policy, procedure, work-instruction – but at a larger scale, where the ‘work-instruction’ in this context is the current business-model for the business. To change the business-model, we need to go up to the ‘procedure’, the rules that guide the writing of ‘work-instructions’ – which is about re-thinking relationships and the drivers for those relationships (row-2). To change the ‘procedure’, we go up to the ‘policy’ – which in this case is the factors that link the players together, and the lists that describe those players (row-1), and their asset-types and function-types and event-types and so on (row-1 items we haven’t looked at yet, but we come back to them somewhat later). And when we’re unclear about anything in that space, we go up to the enterprise-vision – which is the one stable anchor for everything. So here we’re still talking about the equivalent of the ISO-9000 ‘vision’ layer; in the next article in this series we’re also looking at the ‘policy’ layer, and just starting to touch on the ‘procedure’ layer (row-2); but we haven’t gotten anywhere near the ‘work-instruction’ of the business-model as yet. Working only at the business-models layer is like having a quality-system that consists only of work-instructions: we have no idea what to do when anything changes. What all of this is about is identifying a structure – an architecture – that can help us know what to do, and why, when things change. Ingredients Matter (admittedly is a tag line) sets a boundary. To be actionable, you need a qualifier (which is a quick statement of whats in and whats out). This too should be in the Vision/Value box. I still see Ingredients Matter as the “WHY” or core of why the organization wants to exist. It is what Elevation Burger VALUEs but not a VALUE PROPOSITION. The qualifier (what type of ingredients) can be expanded and contracted. It’s actionable and should be separate because qualifiers limit it’s growth. Why can’t they sell chicken products? So, qualifiers are temporary (may be decades…but still limits). It does help you decide who goes in your top row (supplier/proposition/customer relations). Am I reading the diagram wrong? Is the box Vision/Value box a label for the column or a separate box? We shouldn’t even have gotten near a business-model by this stage – we’re solely concerned with what it is that “gets us out of bed in the morning”. It’s like the old ‘five why’s exercise: we’re looking for the why behind the why behind the why behind the why behind the why. So yes, I suspect you might be “reading the diagram wrong” here (which is my fault if I haven’t explained it well enough, of course… 🙁 ). What we’re talking about here is still a lot further up than you seem to be reading this – to be precise, you seem to be reading this at least two layers too low, maybe three. This is really abstract: it’s just an idea here, a description of a feeling. But it’s also the one thing that doesn’t change, that provides a stable anchor for conversation between ‘interested parties’ (which is who we start to identify in the next layer). It isn’t a column, in Zachman sense (i.e. Zachman’s ‘Why’): it’s a row. It’s ‘above’ the whole of the Zachman stack (which is why it’s labelled ‘row-0’). It’s the kind of ‘vision’ that ISO-9000 means as the ultimate stable anchor of a quality-system. So take it at least two notches higher (in terms of abstraction) than you seem to be doing at present: it should then start to make more sense. I know all of this can sound pernickety and pedantic-seeming at first: but when you’re facing extreme instability in the business-context and extreme demands for business-agility – which is exactly what a lot of our organisations are facing now, and is only going to get worse – then you’re going to need something that really is as stable as this. No it doesn’t sound pernickety and pedantic… this is extremely important to clarify so everyone reading this can run with it. I’m just being the annoying twit. I got what you were saying in your canvas…until I tried an example. I have NO problem being corrected. I rely on you heavily for that function. What are good colleagues for anyway. LOL. I do see this above Zachman’s rows. What I did see originally was a pyramid…with vision on the top … or a sphere with the core belief in the middle. Because once a company loses it’s core why…nothing else will last. The why does someone get out of bed in the morning. This is why the tag line “Ingredients Matter” seemed to fit though you brought it down to include more of what their vision statement stated. Elevation Burger had an idea (putting words in their mouth) to start a burger business where ingredients matter. They wanted to be green so the building ingredients mattered too. Hence the concept and eventual tag line … ingredients matter. The goal of this layer is the selection list to set the boundaries (before you get frustrated…I haven’t had coffee yet). 1a. Suppliers Relations: List of the type of suppliers we will contact. 1c. Customer Relations: List of the type of customers. I’m going to stop because I believe I’m getting too deep already. You’re still jumping the gun again. This layer (row-0, ‘Enterprise’) is just the vision and core values. The next layer (row-1, ‘Context’) is just lists of categories of people and organisations (and, later assets and events and capabilities and so on) which in some way link to or align with or whatever to the row-0 vision. That’s it. We don’t even look at relations and roles and the rest until we get to row-2 (‘Business’); we don’t look at any of the detail about how any of this actually works until we get to row-3 (‘System’). 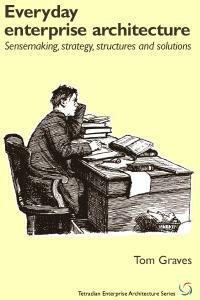 We haven’t got there yet (and we never will, if I keep on writing everything here, rather than moving on! 🙂 ). I’ve just realised that some of this is my fault, because there’s a key point I haven’t explained properly. (It’s in the article on Layers, but I’ll admit it isn’t obvious unless you look for it.) It’s this: if you follow the logic that there are no relations as such in rows 0-1, there are no subsidiary cells within the entity in rows 0-1. They actually become relevant only later on in row-2, when we start to want to do some kind of hierarchical decomposition of functions. My forgetting to explain that point here probably didn’t help, but that’s one of the key reasons why your breakdown above into cells 1a/b/c, 2a/b/c and 3a/b/c above wouldn’t actually make sense in this context. I really do need to move on to row-2, where I can explain some of these points a bit better – may we move further comments there? I didn’t think the abc made sense … i was forcing it. the no subsidiary cells makes sense. 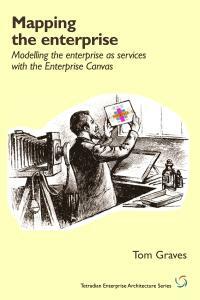 Nice to catch the opportunity to read the discussion of enterprise canvas fresh from the oven. 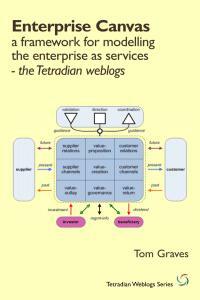 I have developed the Enterprise Topology in my EA practice for many years. The true story is that I can not write english so I draw. Here is what my thought about Eneterise Topology, Business Canvas and Enterprise Canvas. The bottom line of Enterprise topology approach is that Enterpris Topology a tangible EA product for both business and engineering community to comprehend rather a framework for enterprise architect as a EA thinking tool and check list.